H.B. 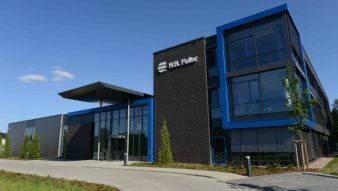 Fuller (NYSE: FUL) has officially opened its Lüneburg Adhesive Academy in Germany, the company&#146;s newest technical centre of excellence, to help its customers respond more quickly and effectively to market trends, industry challenges and opportunities. Combining state-of-the-art equipment with the collective knowledge of experts drawn from H.B. Fuller&#146;s global network, this unique facility will be a focus for adhesive R&D excellence. Drawing on specialist knowledge from different industry sectors, the academy provides an environment to work in partnership with customers to solve problems, and create new solutions, more rapidly than ever before. Covering 2,300 square meters, the Lüneburg Adhesive Academy includes dedicated areas for packaging and converting, hygiene and durable assembly adhesive technologies. It is purpose-designed for related functions, such as conducting experiments, running demonstrations and training customers. The investment in the site also reinforces H.B. Fuller&#146;s commitment to the local community.